Guatemala has two international airports. But the chances are that you’ll be arriving in only one, La Aurora (GUA), in Guatemala City. Set between Guatemala City and Antigua, this airport caters for the vast majority of international air arrivals into Guatemala. 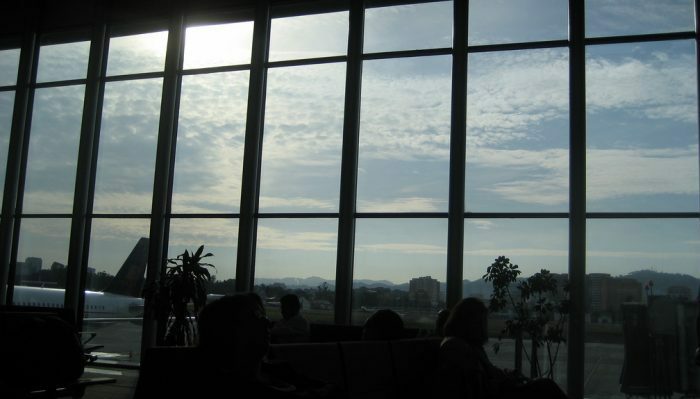 It’s the forth-busiest airport in Central America, after Panama City, San Jose, and San Salvador. GUA Airport is an Avianca hub, like all major Central American airports. Flights arrive from all over the USA, Mexico, Europe, and Latin America. The other international airport in Guatemala is much smaller and more regional. The Mundo Maya Airport (FRS) is, for all intents and purposes, a domestic airport, but it does welcome flights from Belize and Cancun, Mexico. Most passengers flying into FRS from Belize or Mexico are tourists coming to see the Mayan ruins of Tikal. Guatemala shares land borders with four countries, Mexico, Belize, Honduras, and El Salvador. Coming in from El Salvador, there are four crossings. The primary one is on the Pan-American Highway at San Cristobal. This border is busy with heavy traffic and trucks all day. Long waits to cross are common. The Chinamas border to the south is also busy, as it’s closer to Guatemala City. This border sees more tourist traffic than commercial traffic. The La Hachadura crossing is also good for those coming from the Guatemalan highlands and heading to the beaches of El Salvador. There is also the Anguiatú border, that connects the Caribbean coast of Guatemala to El Salvador. This is used by a lot of commercial traffic. Guatemala’s border with Mexico is its longest. Despite what many conspiracy theorists say, there is no wall between the two countries. There’s a lot of jungle, but no wall. There are two main border crossings, starting with Ciudad Hidalgo in the south, near to the Pacific coast. From the Mexico side, you cross the Suchiate River and then hit Guatemalan border facilities on the other side. The other border crossing is at La Mesilla, where the Pan-American Highway leaves Central America and enters North America, in the Mexican state of Chiapas. Other crossings further north are less used. Between Honduras and Guatemala, most people enter either country at El Florido, Guatemala. This is used a lot by day-tripping tourists from Guatemala going to check out the Mayan ruins in Copan, Honduras. Most come back into Guatemala on the same day. The Agua Client border is close to where Honduras, Guatemala, and El Salvador meet. It is the border closest to the Pan-American Highway and so is the most used. Close to the Caribbean coast is the Corinto border. This connects Guatemala City with San Pedro Sula, Honduras, as well as the ports along the Honduran coast. Guatemala and Belize have a turbulent history. But they do share an open border to allow passage between the two countries. This border is at Melchor de Mencas and connects Flores, Guatemala with Belize City, Belize. 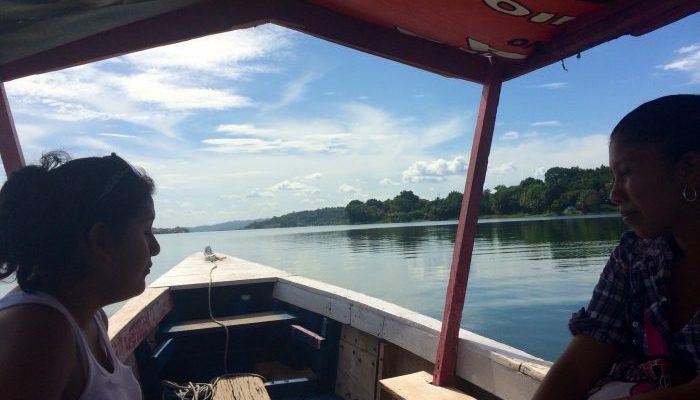 It is also possible to enter Guatemala by water taxi via Belize. Hop on a water taxi in Punta Gorda, Belize to reach the towns of Livingston or Puerto Barrios in Guatemala. Roads in Guatemala are dangerous, as Guatemalan drivers are pretty reckless. The highway system is decent, but as soon as you leave it for the backroads, things can get sketchy as the roads are not well-marked or in the best of shape. Driving at night is not recommended for anyone, highway or otherwise. Public transportation is the cheapest way around the country. But the local buses are slow, overcrowded, and run-down. And the system itself is quite chaotic. These buses are the typical “chicken buses” that are the workhorses of the Guatemalan transport system. 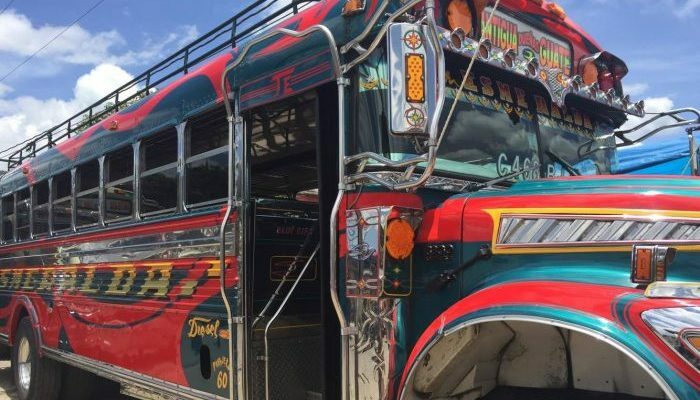 There are also more luxurious buses that run out of Guatemala City to various locations. These are faster and more expensive (not that much more, though). Between Guatemala City and Antigua, there are also lots of semi-private services, usually minivans, that will back and forth all day. In the cities, taxis are the recommended way to travel, as they are plentiful around the larger cities and cheap. Uber is also available in Guatemala City, and this is becoming a preferred method of transportation. There is also a decent network of internal flights in Guatemala on the domestic airlines. The most popular route is between Guatemala City and Flores, although routes over to Livingston on the Caribbean coast are also used more than others. Guatemala is a cheap country. One of the cheapest countries in a cheap region. With that said, as a foreigner, you will be paying more. You’ll want to live in a safe area – safe always means more expensive in this part of the world. That means colonial Antigua or some nicer parts of Guatemala City. Eating is inexpensive, especially if you stick to Guatemalan staples, like fruits, meat, beans, and rice. 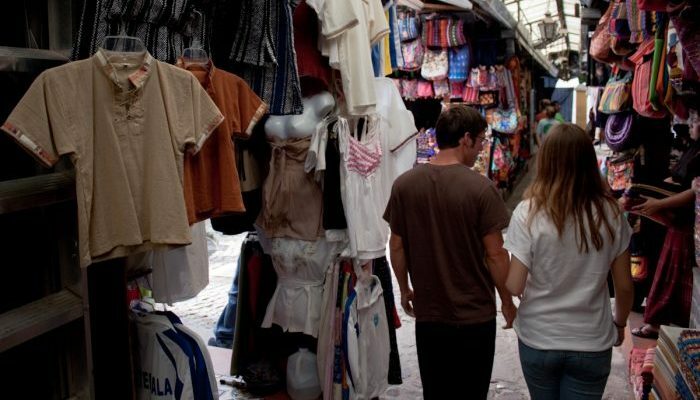 Like anywhere else in Central America, anything you buy that is an import will be very expensive. It is easy for one person to eat very well in Guatemala with a budget of $100-200 per month. The housing is very reasonable. A couple can live well (nice apartment/house with Western amenities and hired help) for $1,500 – $2,000 per month. It is also common for expat households to hire some full-time version of help, whether that be a nanny, maid and/or cook. In Guatemala City, it is possible to find a fully-furnished, two-bed apartment in one of the more modern condominium buildings for $500-800 per month. Antigua is a little more expensive, but it depends on the location. Another Central American country, another bad reputation. And Guatemala does have a bad reputation. Alongside Honduras and El Salvador, Guatemala’s homicide rate is one of the highest in the world. Most of the violence occurs in Guatemala City, though. That’s not to say that care should not be taken anywhere else. Outside of homicide, robbery and extortion are common, as well as kidnapping. Guatemala is also on the drug route and narco-violence is part of life here. Like neighboring El Salvador and Honduras, street gangs such as MS-13 operate in Honduras, making the country a less safe place. Although places on the tourist trail like Antigua, the Lake Atitlan area, and the Tikal area are safer, better policed, and less likely to experience major crime issues, travelers should still exercise extreme caution when traveling anywhere within Guatemala, and avoid altogether certain parts of Guatemala City. 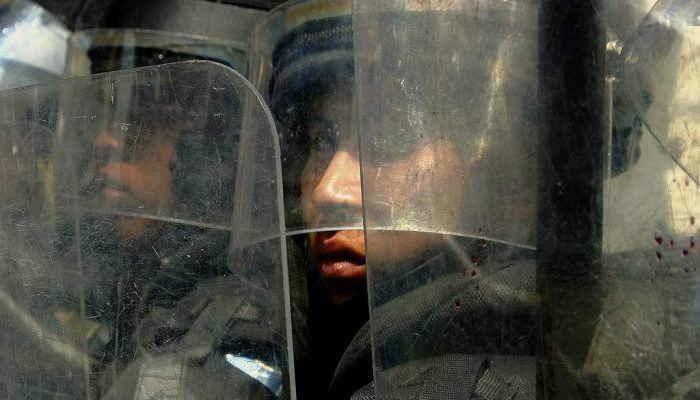 Law enforcement is weak in Guatemala, to the point where no-one has any confidence in the police or the judiciary in the country. This has led to, especially in indigenous areas, some vigilante lynchings and burnings carried out upon would-be criminals. Despite this bleak outlook, it’s important to remember that many people travel to Guatemala and experience its charms with no problems. Vigilance is key, though.